I’m always looking for new ways to get exercise. I get so tired of going to the gym and doing the same old cardio routines. 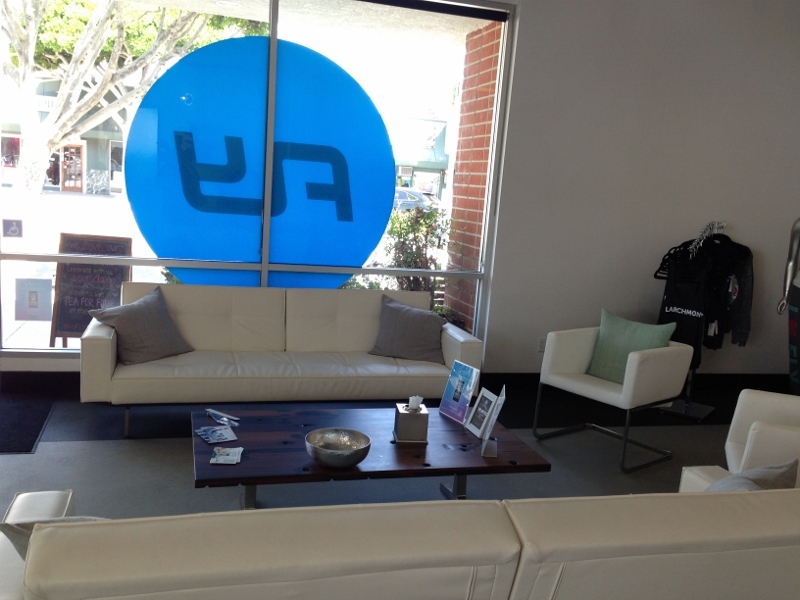 Recently I was given the opportunity to try out a free class at Flywheel Larchmont taught by celebrity trainer Brett Hoebel. 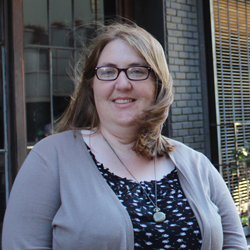 So what is Flywheel? 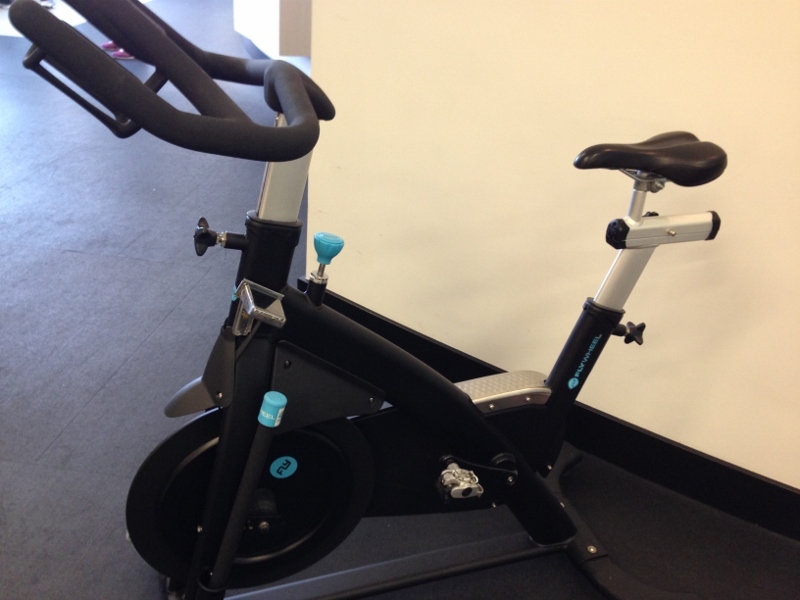 Think of it as a spin class that’s kicked up a notch. 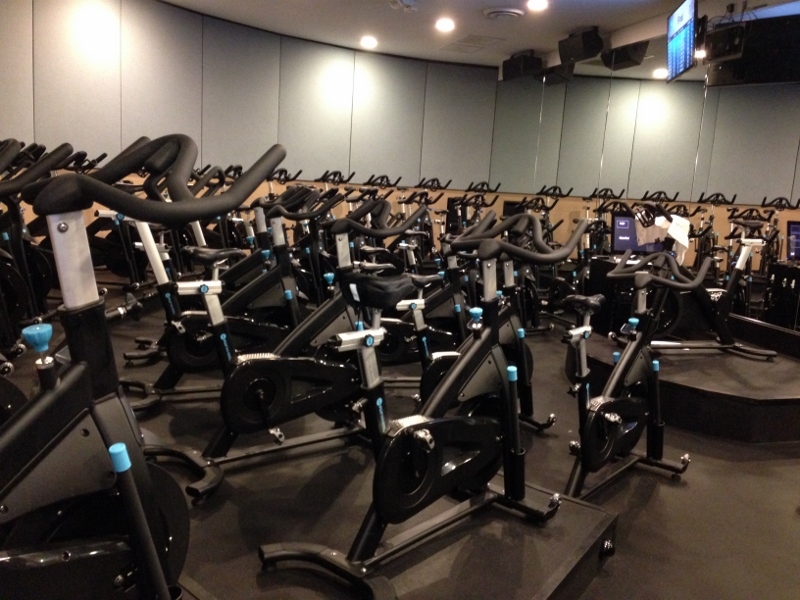 The bikes are arranged in a stadium setting with the trainer in the middle. The lights are turned off and the music is cranked up. The speed and torque is continually adjusted throughout and there’s a bonus weight element. See that stick with the blue tip? That’s a detachable weight. On the day of my class I was (not so) fashionably late. When I walked in the door there was no one to be seen and the class was well underway. I took the opportunity to look around. Pretty nice, huh? Soon a friendly employee greeted me and assured me I still had time to join the class; I just needed to put on a pair of bike shoes. Luckily, they’re provided. I joined the class and immediately started peddling away. It was intense! Lots of shifts in speed and torque. And the weights! Can’t forget those. It was quite a workout. The kind where you’re kind of miserable while you’re doing it but you feel pretty awesome afterwards. And there was the bonus of the instructor, Brett. That man knows his stuff. He was peddling alongside us giving us instructions and encouragements in equal measure. 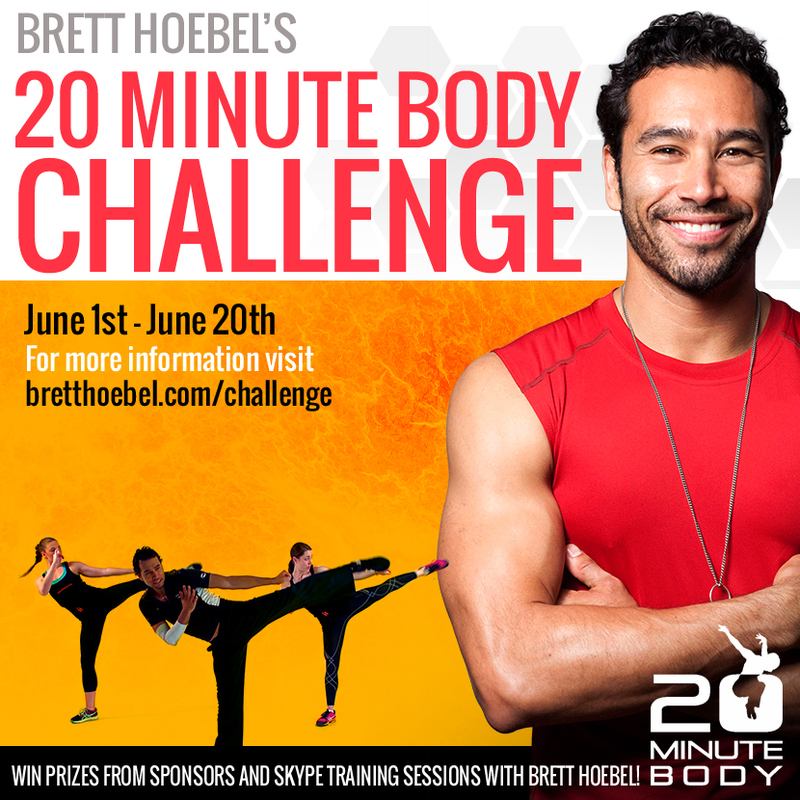 Now I’m excited to try out his latest venture – 20 Minute Body Challenge. The challenge runs June 1 – 20 on Challenge Loop. Participants will be provided with 20 minute interval style workouts and nutritional and motivational tips. I totally signed up and am looking forward to it! Looks like a great place to get some workouts in! Thanks for sharing!